You will find below the horoscope of Cynthia Lander with her interactive chart, an excerpt of her astrological portrait and her planetary dominants. If you know the time of birth of Cynthia Lander, we would appreciate it if you would send us your information with your source, at stars@astrotheme.com. To thank you for contributing to the enhancement of our astrological database, we shall be glad to send you the astrological portrait (34 pages) of this celebrity. Horoscopes having the same aspect Moon sextile Uranus (orb 1°00'): Mel Gibson, William Shakespeare, Charles, Prince of Wales, Michael Fassbender, Zooey Deschanel, Ylenia Carrisi, Clara Morgane, Muammar al-Gaddafi, Michelle Williams, Sigourney Weaver, John Wayne Gacy, Mark Ruffalo... Find all the celebrities having this aspect. Horoscopes having the same aspect Mercury trine Mars (orb 1°40'): Miley Cyrus, Marion Cotillard, Jennifer Lawrence, Prince William, Duke of Cambridge, Khloe Kardashian, Edith Piaf, Princess Stephanie of Monaco, Franklin D. Roosevelt, Elizabeth I of England, Lorie (singer), Stevie Wonder, Billy Corgan... Find all the celebrities having this aspect. Celebrities clicked on in real-time: 576,783,592 times. Cynthia Cristina Lander Zamora (born in Caracas, Venezuela on June 10, 1982), was Miss Venezuela 2001 and a participant at Miss Universe 2002. She moved to the U.S. at age 11 and returned to Venezuela when she was 16. Beauty Contests Cynthia has participated in: Miss International, Tokyo, Japan (August, 2002). Miss Mesoamérica. Houston, Texas, U.S. (July, 2002). El Reinado del Café, Houston, Texas, U.S. (July, 2002). Miss Universe, San Juan, Puerto Rico (May, 2002). (4th runner up) Miss Venezuela, Caracas, Venezuela (September, 2001). (Winner) Facts She received firefighter training prior the 2002 Miss Universe beauty contest, she was motivated to work with the firefighters due to the Vargas tragedy that occurred in Vargas State, Venezuela on December 1999. Here are some character traits from Cynthia Lander's birth chart. This description is far from being comprehensive but it can shed light on his/her personality, which is still interesting for professional astrologers or astrology lovers. 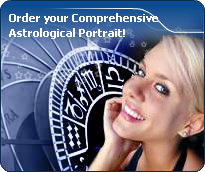 In a matter of minutes, you can get at your email address your astrological portrait (approximately 32 pages), a much more comprehensive report than this portrait of Cynthia Lander. Warning: when the birth time is unknown, which is the case for Cynthia Lander, a few paragraphs become irrelevant; distributions in hemispheres and quadrants are meaningless, so are dominant houses and houses' accentuations. Therefore, some chapters are removed from this part. Cheers for communication and mobility, Cynthia Lander! The predominance of Air signs in your chart favours and amplifies your taste for relations and for all kinds of short trips, whether real (travels) or symbolic (new ideas, mind speculations). You gain in flexibility and adaptability what you lose in self-assertion or in pragmatism. Cynthia Lander, Fire is dominant in your natal chart and endows you with intuition, energy, courage, self-confidence, and enthusiasm! You are inclined to be passionate, you assert your willpower, you move forward, and come hell or high water, you achieve your dreams and your goals. The relative weakness of this element is the difficulty to step back or a kind of boldness that may prompt you to do foolish things. Your natal chart shows a lack of the Water element, with only 7.35% instead of the average 25%. Whether you are aware of it or not, affective values bring about problems, for you or your close friends. In general, a lack of Water does not necessarily mean that you are unable to love as much as others do. However, you may find it difficult to express the deepness of your heart and of your feelings. In the best cases, you come to terms with it, you adjust, you manage to show more affection or, why not, you pretend to be really affected! In the worst cases, you get into the terrible habit of repressing these essential values and you tend to forget that they are the basis of the richest and strongest bonds between human beings. The Mutable mode is the most emphasized one in your natal chart, Cynthia Lander, which indicates a mobile character that is curious and thirsty for new experiences and evolution. You are lively and flexible, and you like to react quickly to solicitations, but don't confuse mobility with agitation, since this is the danger with this configuration - and with you, stagnation is out of the question. Security doesn't matter as long as you are not bored. You optimize, you change things, you change yourself... all this in a speedy way. In your natal chart, the three most important signs - according to criteria mentioned above - are in decreasing order of strength Gemini, Libra and Sagittarius. In general, these signs are important because your Ascendant or your Sun is located there. But this is not always the case: there may be a cluster of planets, or a planet may be near an angle other than the Midheaven or Ascendant. It may also be because two or three planets are considered to be very active because they form numerous aspects from these signs. After this paragraph about dominant planets, of Cynthia Lander, here are the character traits that you must read more carefully than the previous texts since they are very specific: the texts about dominant planets only give background information about the personality and remain quite general: they emphasize or, on the contrary, mitigate different particularities or facets of a personality. A human being is a complex whole and only bodies of texts can attempt to successfully figure out all the finer points. Cynthia Lander, an enquiring intelligence, an instant understanding and a wide range of interests prompt you to go towards other people in all circumstances with a view to exchanging ideas and to show your talent for repartee. Ideas and actions must be quick and you are likely to be impatient, even critical and sarcastic with people who cannot match your frantic rhythm. You are very adaptable, you can do several different things at the same time and also think of a future action because you constantly need to be on the move. You may be criticized for your superficiality, for spreading yourself too thin and for your propensity to conceal the truth, but you always get out of tricky situations incredibly well because you are very astute, shrewd and charming. There is so much voluptuousness and so much charm in your personality, Cynthia Lander! You are what is called a “nature” and when confidence is established, slowly but steadily, you become deeply attached to your partner and you can be filled with passion. It may take months, even years, but you are so generous and affectionate that, in most cases, your relationship has many chances to blossom, with time. You are very physical and sensual and you are very keen to delight in your intimate moments. This aspect of your amorous relationship usually contributes to its sustainability. Everything seems idyllic, Cynthia Lander. It would be so if your jealousy and your possessiveness did not get started simultaneously with your powerful feelings. But you have so many assets, so be content! No one can say that you are particularly aggressive, Cynthia Lander! Actually, it takes a great deal for you to become able to express your anger because you belong to the wavering type and you are not prone to risk-taking; you loathe violence and you would rather not intervene than start a conflict. Moderation and the happy medium in all things are your favourites. One of the only areas that makes you wage war is injustice, whether you are the one who is stricken or whether it is someone who is helpless. In this particular field, as in that of sexuality, you are not impulsive and you appreciate it very much when your partner shows the way, preferably with much serenity and gentleness. Actually, the form and characteristics of your sexuality depend on the rest of your personality. This text is only an excerpt from of Cynthia Lander's portrait. We hope that it will arouse your curiosity, and that it will prompt you to deepen your knowledge of astrology, as well as to visit and use the wide range of free applications at www.astrotheme.com. Your Life Path is influenced par the number 9, Cynthia, the path of travel and transcendence. You know how to take a new look at yourself and how to broaden your horizon. You are driven by the thirst for achievements and you cultivate the sense of the sacred and of sacrifice. Life teaches you to constantly push further the limits of your ego. Your destiny is based on altruism and devotion. You are very generous and you always listen to people's needs, which is among the reasons why you are very much sought after. You also show little interest in socializing or social futilities. Your spiritual growth means much more than worldly frivolities, even though it means that you have a hard time remaining grounded when you experience difficult circumstances! Your Life Path prompts you to learn, to increase the number of enriching experiences, and to constantly progress. You are interested in intellectual matters, and you set yourself high objectives. Meditation and contemplation are your valuable assets.